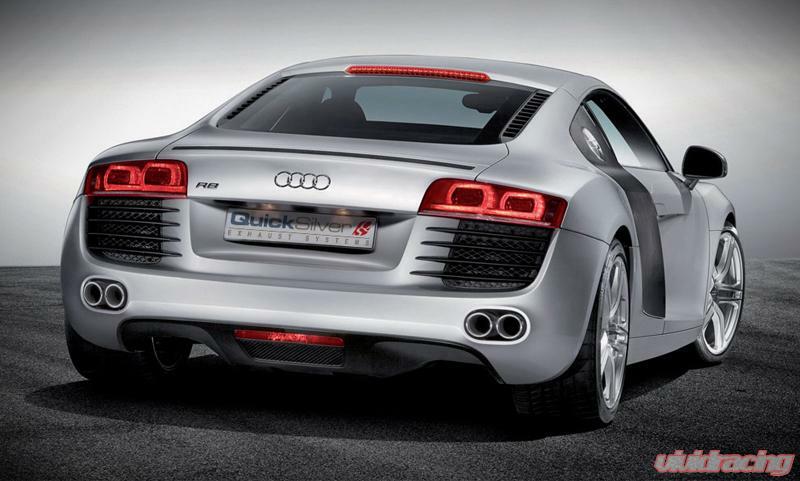 QuickSilver's Titan 'Sport' exhaust system for your R8 V10 is a much lighter weight system that has more efficient flow and shows a noticeable improvement in throttle response whilst enhancing that sports car sound. QuickSilver's system offers an enhanced experience. At lower engine speeds it produces a wonderful sporty tone, rising and falling through the gears it blips on down change, and pops on the overrun ?? all adding to the fun. This system offers a sound that is ideal for everyday use. Sound is a major part of the driving experience. Factory exhausts utilize silencers that have been designed to meet several regulations and in turn rob the driver of performance and a sport tone. 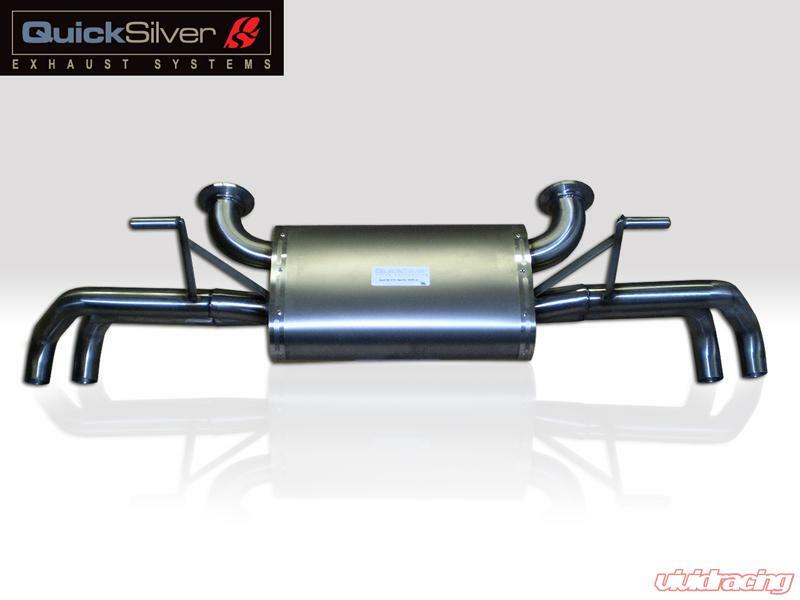 Quicksilver's developed an exhaust that meets the expectations of drivers seeking a performance sound from their exhausts and more performance. Weight has been reduced, aesthetics improved and performance increased with better thottle response and more power. Appropriate sound with a robust presence.